How has everyones Monday been? I’ve had a few days off so I had a lie in this morning – and I’m ashamed to say I didn’t get up until noon! He has been in a really giving mood today – he’s just finished making these beauties…. 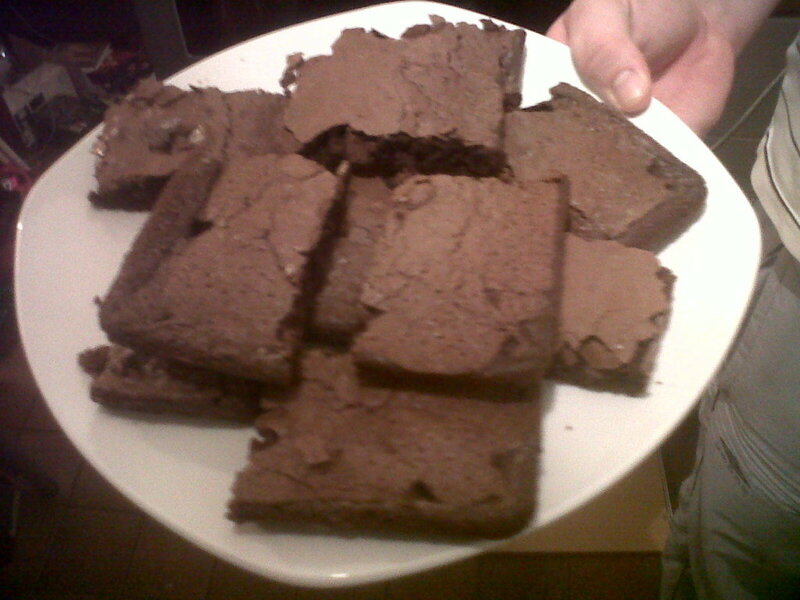 Mmmmm, chocolate brownies! Not good for me when I’m trying to get fit, and him being on a diet – but we’ve both been good, and only had a couple each. The rest are being distributed between our parents and my work colleagues. They were soooo good, though! We both decided today though that we are definitely going to try and do some more baking and cooking. I shall be taking some recipes from my Gizzi’s Kitchen Magic recipe book, and trying them out – I will post the results on here! What are you planning to do tonight before bed? Sorry for the lack of updates over the past few days, I’ve had an extremely busy week and it all culminated with me going to see Westlife at the 02 in London last night! They were absolutely amazing! I know that most of you will just expect them to do their normal songs, and stand up off their stools on the key change, but they did none of this. Well – they obviously did some of their normal songs, but their medley was fantastic! I never thought I would hear Westlife sing Coldplay, Rihanna, Black Eyed Peas and Lady Gaga songs, but omg, they did! This was when they were posing for a picture 🙂 They told everyone to get their cameras & phones out and to take some pictures of them! I was too far to really get anything worthy. This was another picture of them posing! They were supported by Wonderland (which includes Kian’s wife Jodi in the lineup) and an adorable guy named Glenn Cal! His voice is brilliant, why not check him out on Youtube? Now you know why I haven’t been blogging as much, but fear not, I shall appear frequently over the next couple of days with some more ramblings!